Rules: Over the summer Young Adults going into 7th grade up to Young Adults going into 12th grade can read suggested books off the lists provided from the Nutmeg Awards, the CT Department of Education Summer Reading list or RHAM’s Summer Reading list. You can also ask for a suggestion from one of our staff members! Each time a book has been read, the teen will fill out the reading certificate. The slip must be turned in to a staff member and initialed. Once initialed it will be entered into the summer’s end drawing for an Amazon gift card. 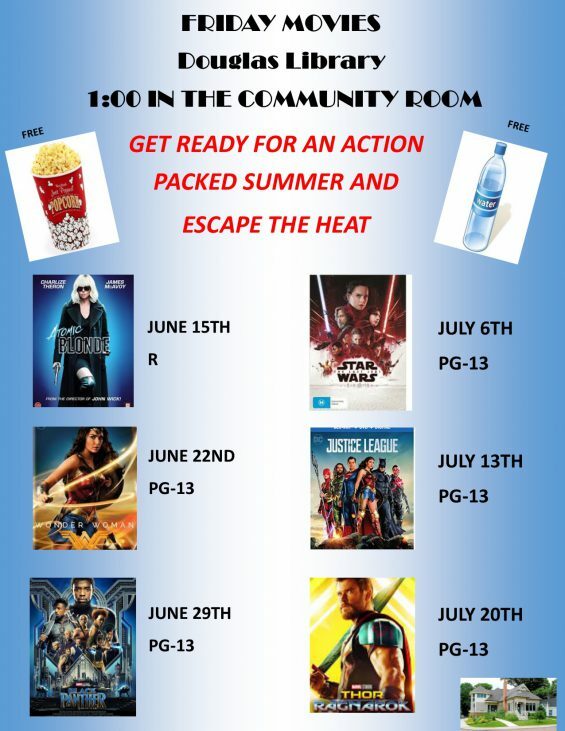 Plus, join us for our summer Action Friday Movies! 1:00pm. Free.